Klook exclusive: Get an exclusive discount when you book through Klook! Good their satay tastes sweet!!! 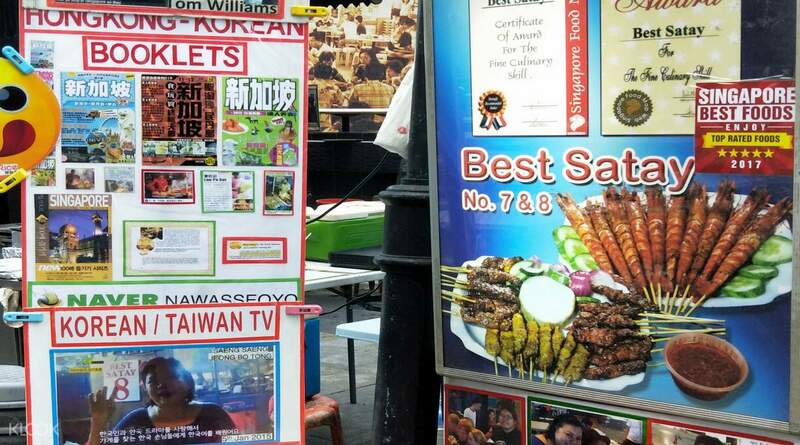 Sample some Singaporean food made fresh on the streets with a visit to Best Satay 7&8! Choose from a variety of meat, including, chicken, beef, and mutton! 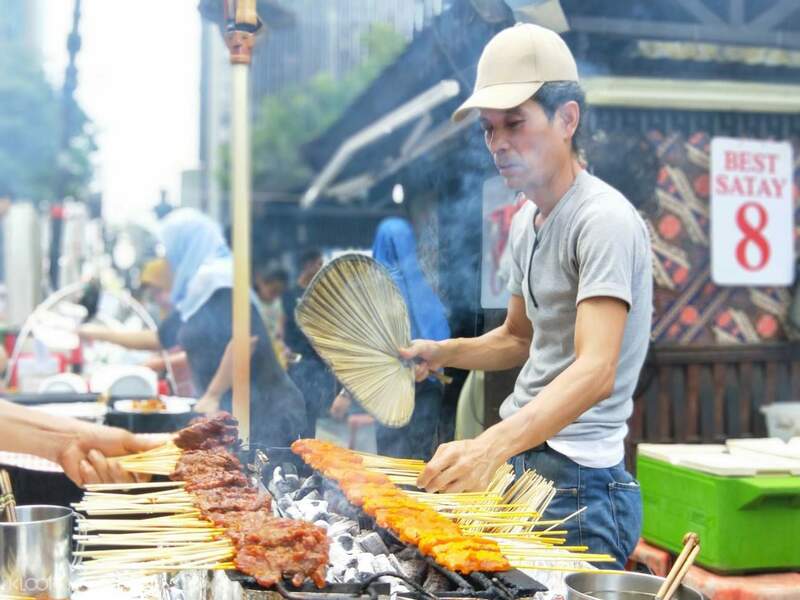 Best Satay is easy to find ... just follow the smell. The redemption is easy and the service is fast and smooth. Mutton, beef and chicken are all tasty and tender. There are open space dining tables right next to the stall. Value for money and will share and recommend to friends. 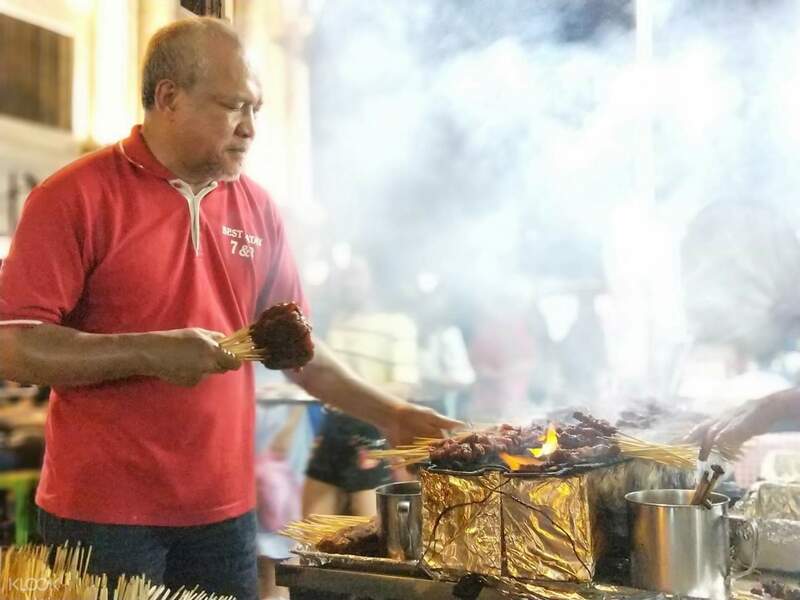 Best Satay is easy to find ... just follow the smell. The redemption is easy and the service is fast and smooth. Mutton, beef and chicken are all tasty and tender. There are open space dining tables right next to the stall. Value for money and will share and recommend to friends. It's reasonable price for smaller group of people of such deal. With some rice cake makes a great dinner. Quite a unique experience to have on street. It's reasonable price for smaller group of people of such deal. With some rice cake makes a great dinner. Quite a unique experience to have on street. Satay is sweet and gravy a bit spicy. The girl is kind enough to share her wifi so that I can retrieve the klook voucher as my sim card was not working. Satay is sweet and gravy a bit spicy. The girl is kind enough to share her wifi so that I can retrieve the klook voucher as my sim card was not working. the staff was accommodating. the food was okay. 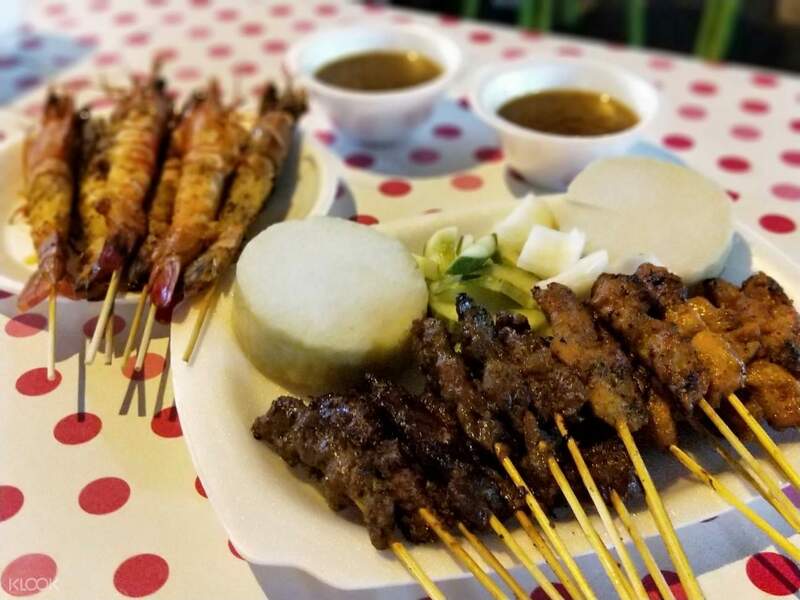 it was a great experience to try Singaporean satay. the staff was accommodating. the food was okay. it was a great experience to try Singaporean satay. Superb! I will definitely come back to Lau Pau Sat and enjoy the Satays and the martabak. 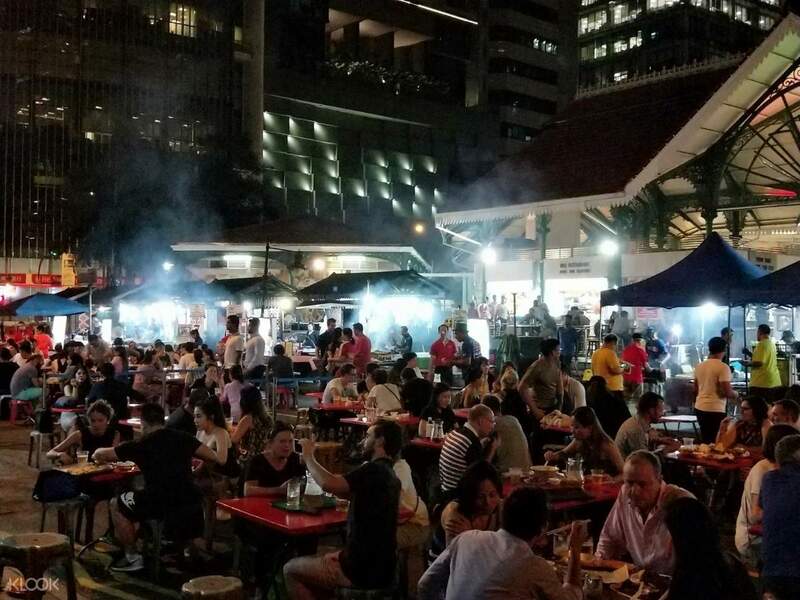 Looking forward to going to Singapore again next year and enjoy the Best Satay! Superb! I will definitely come back to Lau Pau Sat and enjoy the Satays and the martabak. Looking forward to going to Singapore again next year and enjoy the Best Satay! Good their satay tastes sweet!!! Good their satay tastes sweet!!! Best satay experience. The service was good. Satays were very good. Excellent atmosphere. All in all a good experience booking with Klook. Best satay experience. The service was good. Satays were very good. Excellent atmosphere. All in all a good experience booking with Klook. Fast service . Didn’t have to wait long for the delicious satay. Fast service . Didn’t have to wait long for the delicious satay.